Our test lab measures all customer antennas by exciting them with our swept VNA sources and observing their response with a quad-ridge antenna at the other end of our anechoic chamber, often 12 feet away. This is called far field testing, because we observe your antenna’s actual performance from a significant distance. Far field testing is an accurate and natural way to evaluate customer antennas, and makes no assumptions about their operation. It also quantifies feed-line radiation and other unexpected distortions which happen near the antenna. Smaller chambers sometimes use “near field scanning”. In this method, a probe (like this one shown) is scanned near and around the antenna under test. The probe results are run through a mathematical algorithm to simulate the approximate far field pattern of the antenna. 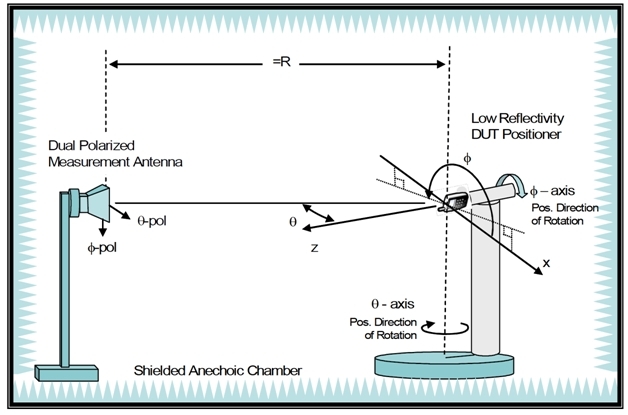 This method may miss many real world antenna effects such as feed-line distortions. 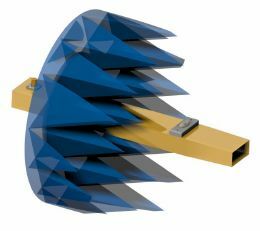 It can be less expensive, and does not require a large anechoic chamber. Ready to get your antenna project underway … then contact us and see how we can help. 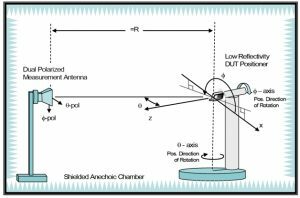 A qualified antenna testing company will get your project on track.